Longing for a taste of the highway? Yearning for that soulful twang usually only found in smoky bar rooms long after midnight? Oakland-based americana band Loretta Lynch offers you a country pick-me-up in the form of sweet, sorrowful, saucy, and smart songs in this special concert celebrating the release of its new album, Home Fires. (Each ticketholder gets to take home a copy of the CD, too!) 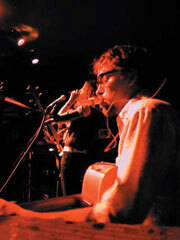 With soaring three-part harmonies, powerful rhythms, and dreamy slide guitars, Loretta Lynch performs what they describe as "a little tear in your beer, knife in the back, a little tongue in cheek," in a freewheeling mix of original tunes and others ranging from the classic "Wayfaring Stranger" to the X anthem, "New World." 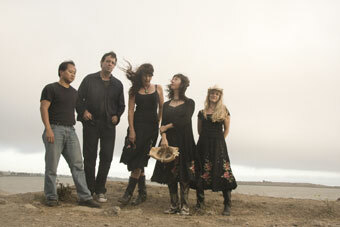 Formed in 2002 by vocalist/guitarist Val Esway (of late lamented Oakland rockers, Ramona the Pest), this alt-country quintet also features Heather Davison, Ari Fellows-Mannion, Dan Olmsted, and Nathan Moy. They've spent the past few years steadily building a rabid following while performing everywhere from Slim's to England's Glastonbury Music Festival to opening for country superstar Alabama at the Shoreline Amphitheatre and SleepTrain Pavilion. In the words of KALX radio DJ Greg Scharpen: "Loretta Lynch's sweet façade—gorgeous vocal harmonies, seemingly-pleasant melodies, exceptional musicianship -- masks their richly nuanced dark underside of regret, loss, murder, revenge, and bad drunken decisions made in late-night bars." Don't even try to resist! Tonight's show opener, Joe Rut, is an Oakland-based singer-songwriter and multi-instrumentalist, and founding lead guitar player of Loretta Lynch.